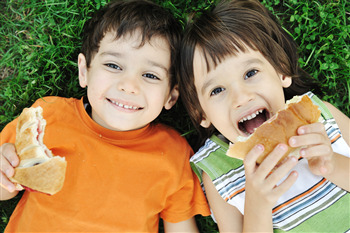 Your kids are our clients, and we care about what our clients eat. We take extra steps to customize a practical food service plan to meet the requirements of an entire school while giving your children options and choices. Lunches with Love provides a tasty balance between what kids eat and what parents and schools want them to. We taste test, because food has to taste good for Lunches with Love to work for your kids. We also conduct frequent site surveys and inspections to monitor selection, service and quality. We consistently track feedback from students, parents, faculty, and school administration. As a result of these efforts and our hands-on approach, the program is tailored to meet the needs of your school.